House of Woyaks: Andy's Christmas Party! 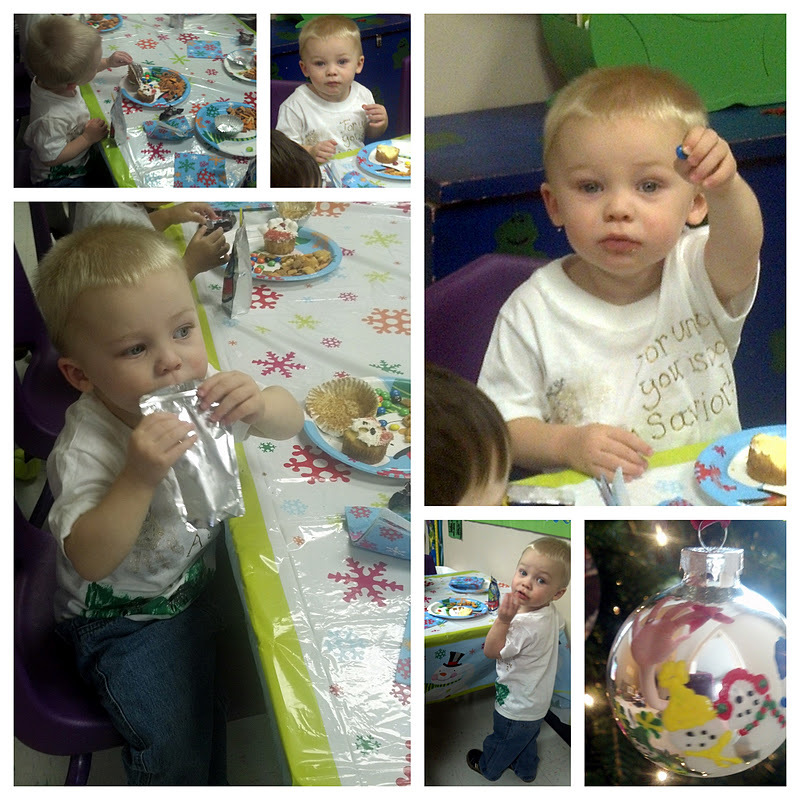 Yesterday Alex and I went over to Andy's school for his class Christmas Party! and his foot made a shepherd! Awesome! Love it!! I took a few pics of him while we were there. I apologize in advanced. A room full of 2-year-olds on a sugar-high, mommies with squirming babies in one arm camera phone in the other, and grand parents blinding everyone with their mega cameras...it was a tad bit on the crazy side. ;) But it was fun! Oh! And I am glad to know that my 2-year-old isn't the only one to tell me to put my camera away! Picture on the right going down: Telling me that he will give me an m&m if I stop "No no, mama. M&M?" / Tried to move to the other side lol / His Christmas ornament he made! His hand print made snowmen! I will get a better picture soon - promise! Are you kids out of school yet? I cannot believe that Christmas is NEXT WEEK! !